Professor Suzana Herculano-Houzel from the Lab of Comparative Neuroanatomy in Rio De Janeiro has come up with a way of comparing the number of neurons in different animals' brains by creating what she calls "a brain soup". 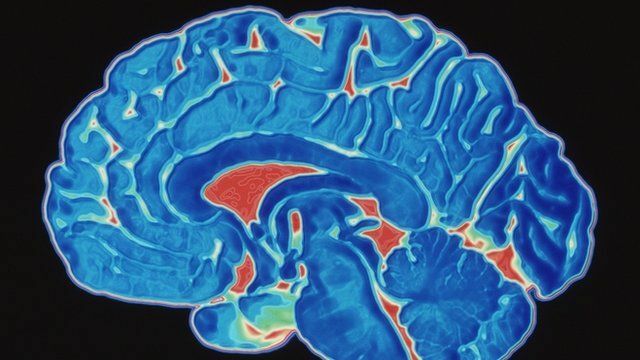 She spoke to Sarah Montague at the TED Conference in Edinburgh this week, and told her that the human brain is nothing special, it doesn't use any "special level of energy", and it has "the number of neurons you'd expect." But her method of dissolving cell membranes to make a brain soup, which she describes as looking "like cloudy apple juice", allows her to easily count the cells in the brain because the nuclei remain intact. Because our primate brains are the largest of the primates, we have the largest number of neurons. She puts the large size of our human brains and their remarkable cognitive abilities down to the fact that we cook our food, allowing energy to be better digested and absorbed and in much less time. First broadcast on the Today programme on Saturday 15 June.